Home LG Optimus Black P 970 Review REVIEW: Pros and Cons of LG Optimus Black P970. REVIEW: Pros and Cons of LG Optimus Black P970. Its been several weeks I have used the LG Optimus Black P 970 and there are many things which I loved about this phone and some things which also annoy me. I have created a list of best and the worst things about this phone. Before I jump into reviewing the LG Optimus black P 970 let me tell you this, I compared this phone with Samsung Galaxy Ace, Samsung Galaxy S, and few more smart phones in the same rang phones and finalized to buy this one. 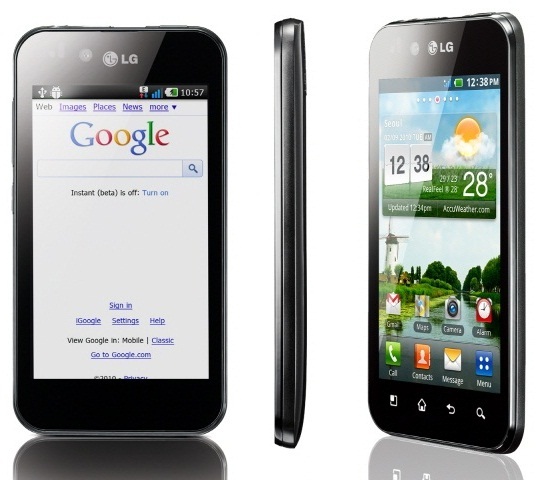 Pros \ Advantages of LG Optimus Black. I loved it the moment I saw it Samsung Galaxy S looked like a immature baby when it comes to the picture clarity this phone can give you. The screen is made up of nova display with 720 nits. This phone is known to be the brightest in the world. Even iPhone is just around 450 nits. Well for those who do not know nits it is the unit for measuring brightness. More nits means you can use your phone better in direct sunlight. The screen is 4" big and I played a video it looked so amazing that I ended up watching the whole video even though the video was not that great. It comes with a 5 MP pixel camera which takes awesome shots and the video quality is also very decent it records HD videos at 720p @ 25 frames per second. At night the shots are not that great but in ideal light conditions the Camera can take some really superb pics. Looks wise this Phone is just hot. Its very slim less than 9 mm, slimmer than iPhone and weighs only around 100 plus grams. Super light and super cool looking and ultra slim. The black color really adds a lot of spice to it. I will give this phone full marks in looks department. Much better than Samsung Galaxy S.
It comes with a decent Processor with a capacity of 1 GHz. I have run around 10 plus apps simultaneously and they run without any problems or hiccups. Cons\ Disadvantages of LG Optimus Black. Major issue with this phone. The battery drains like the energy in a human body when he visits office on a Monday morning. Yes there are apps which you can install from Android market which would kill apps running in background but if I compare it with the Nokia (unfair comparison I know), This phone would get just 5 marks out of 10 for battery life. Even though the hardware in the phone is decent in terms of processing power, it comes in pre installed with Android Version 2.2 Froyo which is up gradable to Android 2.3 Gingerbread. It would have been great if the phone had 2.3 preinstalled. The screen looks good but when you touch the Screen sometimes it lags in response which is very annoying some times. This rarely happens but plays a spoil sport whenever it happens. In all just 3 GB which includes 2GB external and 1 GB internal. If you look at the price of the phone the memory seems very inadequate. Yes it can be extended upto 32 GB with external card with extra cost. Having said all this I am still very happy with the phone. I will give this Cool Phone a rating of 4 out of 5.